"I love that there are so many different hours available as well as...the weekend"
"Wonderful pediatric practice! Many useful resources. Would definitely recommend." "My children have seen Dr. Gonzalez for the last 4 years..."
"My kids love Dr. Gonzales. She knows how to interact with them. Highly recommend." "Their after hours appointments are wonderful. We highly recommend this practice!" "Hands down the best Pediatric group in Austin!" "Wonderful staff, wonderful facilities, wonderful doctors. " "Relatively new to the practice...I felt like my children were in good hands." "Dr. Loomis is the best! She is very attentive and answers all of my questions." "We love Dr. Loomis! She takes her time with the kids and is thorough. " "Super great with our son and incredibly patient and thorough...We love Dr. Mowry." Situated between Tarrytown and Rosedale neighborhoods, Pediatric Associates of Austin is conveniently located in the heart of Austin, Texas. Since the practice first opened in 1974, the doctors and nurses here have treated many of the city’s children. Some of their former patients have even brought their own children to the practice, creating a family legacy at Pediatric Associates of Austin. All of the doctors at Pediatric Associates of Austin are board-certified pediatricians. Many of them are also fellows of the American Academy of Pediatrics. Between all of the doctors, the team has a diverse array of specialties and experiences that help them provide excellent, comprehensive pediatric care. In addition to these doctors, the practice also has a highly qualified nurse practitioner, Emily Woodard. Emily is a member of the National Association of Pediatric Nurse Practitioners. Emily Woodard earned her Pediatric Nurse Practitioner certification through The University of Texas at Austin. She also sees patients at Pediatric Associates of Austin, SportsSafe Concussion. Brain. Body., and at the evening clinic, After Hours Kids. Many of the providers at Pediatric Associates of Austin also provide care through SportsSafe: Concussion. Brain. Body. and After Hours Kids, which are both located in the same building. SportsSafe: Concussion. Brain. Body. Provides baseline testing, concussion evaluations, and concussion education for student-athletes. After Hours Kids provides medical care for children during evenings and on weekends. In addition to these extension programs, Pediatric Associates of Austin also has an on-site lab. This lets them expedite blood work when needed. We provide exceptional medical care for children from birth through college. At Pediatric Associates of Austin, we offer personal, comprehensive service including on-site laboratory and digital imaging. All of our nurses are Registered Nurses who have a vast knowledge of pediatric medicine. Our physicians are all Board-Certified Pediatricians. We provide exceptional medical care for children from birth through college. At Pediatric Associates of Austin, we offer personable, comprehensive services including on-site laboratory and digital imaging. All of our nurses are Registered Nurses who have a vast knowledge of pediatric medicine. Our physicians are all Board-Certified Pediatricians. Pediatric Associates of Austin exists to provide parents and children with excellent medical care and parenting education. We strive to be advocates for children to ensure each child’s value and to help families be successful in raising confident, capable members of our society. Our goal is to provide comprehensive, high quality medical care to your family. We are honored to be your family’s medical home. Please click below to learn more about our Value Added Program. 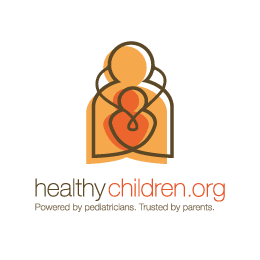 Pediatric Associates of Austin has partnered with Patientco to allow you to Pay Your Bill online! This is the simplest, most secure payment experience possible. Injuries Happen. We're Here to Help. By partnering with SportsSafe, Pediatric Associates of Austin is dedicated to helping pediatric patients who have sustained a concussion injury. For more information about SportsSafe click here. AFTER HOURS KIDS is a pediatric care clinic staffed by Certified Pediatric Nurse Practitioners as an after hours extension to Pediatric Associates of Austin. It is common for problems to present themselves after regular hours for children 18 years and younger. We have an on-site lab available, and we are open to the general public. AFTER HOURS KIDS is not a Primary Care Provider and does not accept patients for on-going primary care. Since a newborn’s ears are not fully developed and they typically have not received their first two tetanus vaccines, ear piercing in children under 4 months is not recommended. We advise piercings to be done between 4 to 6 months or after 12 years of age. However, some exceptions can be made. Click here for more information. Because many changes have occurred this year in the healthcare industry, we ask that you contact your insurance company to confirm that your doctor is an in-network participating provider for your particular plan. You will need our tax ID# 741870685 for confirmation of plan participation. This is also highly recommended if you are selecting a new insurance plan, as it is the parent's responsibility to verify whether or not your doctor is an in-network provider for your insurance. Please contact our billing department if you have any questions about this or need assistance. We are not contracted providers for Medicaid; therefore, we do not accept patients with Medicaid (primary or secondary) coverage. "This is hands down the BEST place you can take your children. They are so patient, caring and friendly. " "It's such a relief to be able to get my sick kiddos in after work hours. " "Super great with our son and incredibly patient and thorough with all our first time parent questions. We love Dr. Mowry." "Got us in first thing on a Saturday to diagnose a second round of strep. Dr. Sanford is thorough and sweet and we have loved every experience with her!" "Dr. Gonzalez is a kind and patient listener. She immediately puts my children at ease when they talk with her. We love her!" "Dr. Loomis is the best! She is very attentive and answers all of my questions. I never feel rushed with her. She’s gentle and caring and I couldn’t be more pleased!" "Dr Mowry is always very kind and genuine. I leave my daughter's appointments feeling informed and secure that she is getting the best care. Thank you Dr Mowry." "We love Dr. Sanford and appreciate the time and detailed attention she devotes to our son. She is warm, friendly and extremely patient!" "Dr. Mirrop is wonderful. I would recommend him to everyone who asks for a good pediatrician." "After Hours Kids was there for us! I'm so grateful to have found them!" "I love Dr. Hargrave. He is always incredibly detailed and we are grateful for his approach to ensure parents' concerns are taken into account with care of his patients." "Dr Loomis is incredible. She is knowledgeable, patient, kind, and thorough. My son has been her patient from the beginning. Highly recommend her." "I love that there are so many different hours available as well as the ability to see a Dr. on the weekend. " "Dr. González is always incredibly empathic and informative. As first time parents my husband and I have been grateful for her guidance." "We are new patients and feel extremely cared for by the staff here. Our newborn son has received personalized care and attention by doctors, nurses and other staff." The clinic is a well-oiled machine with very friendly staff. You’re given a patient room to wait in immediately and we have never waited too long to see the pediatrician. "My children have been coming to Pediatric Associates for 10 years. The doctors are knowledgable, the nurses are fantastic, the appointments run on schedule..."
"Great practice, we have been patients for almost 16 years. Very easy to get an appointment, even on short notice. Quick in/out, great docs, great staff."